There are two David Coverdales – both born September 22, 1951, in Saltburn-by-the-Sea in what is now Teesside. The most famous is the innuendo-driven cod-aristocratic frontman with Whitesnake. The lesser known, and more impressive, is the singer possessed of a talent so rare that Deep Purple plucked him from obscurity to replace Ian Gillan in 1973. Coverdale made three albums with Purple before they split in ’76, then released a couple of low-key solo albums. The first, called White Snake (two words), gave its name to a band he led through years of good-time blues rock. Although pitched as a respectful tribute to Deep Purple, the band that “made” David Coverdale, the most respectful thing to have done would have been not to make this at all. Released seven years after first disbanding Whitesnake, and four after Coverdale-Page, this was something of a comeback. Originally planned as a solo album but released under the banner of David Coverdale & Whitesnake this ends up sounding halfway between the two. With all songs (except the cover of Stay With Me) co-written with his old friend Adrian Vandenburg, Coverdale mixes limp ballads (Too Many Tears and Don’t Fade Away) with derivative rockers such as the title-track and Cryin’. Disappointing. Failure to find a US label to release Restless Heart stung Coverdale, who next went “back to the future” assembling a 1987-alike line-up and tour for the Snake’s 25th anniversary in 2002, then releasing a live set Live… In The Shadow Of The Blues in 2006 featuring guitarists Doug Aldrich and Reb Beach, plus drummer Tommy Aldridge. Aldrich co-wrote all the songs here but, as epitomised by the hard-rocking Best Years, it’s the sound of a man desperately failing to resurrect former glories. On which über-guitarist Steve Vai played all the guitar parts because Adrian Vandenburg was injured. It sold a very respectable four million copies – but that was only half as many as its predecessor 1987, and too many songs (especially the reworked Fool For Your Loving) sound overwrought. Vai’s hugely talented but his signature tricks quickly wear thin here and Coverdale doesn’t benefit from such support anywhere near as much as David Lee Roth did. This has dated badly. 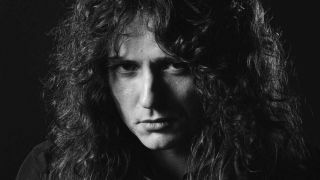 Although – as on Good To Be Bad – all songs were co-written by Doug Aldrich (moonlighting from Dio once more) he and Coverdale broadened the reformed band’s appeal by looking back further than 1987. The slide-driven Steal Your Heart Away and Whipping Boy Blues, plus Love Will Set You Free (despite guitars tuned to suit younger ears) could all have come from the pre-MTV makeover years. Better yet was the title track – a seven-minute epic beginning with acoustic guitar then exploding into Kashmir-lite bombast. And here we mean the original UK/European release, rather than the US version on which Jon Lord’s keyboards were mixed down and John Sykes added guitar solos after being drafted in to replace Micky Moody. Love Ain’t No Stranger was the best song, but with such a title-track alongside the slide-driven sleaze of Slow An’ Easy (plus Hungry For Love and, er, Spit It Out) things were sounding lasciviously formulaic. Yes, Jimmy Page. What on earth the ex-Zep man was doing this far out of his comfort zone only he could say, but he and Coverdale certainly made odd bedfellows. This is best when Page’s guitar or John Harris’s harmonica drag it into LZ territory – but, throughout, Coverdale seems unsure whether to impersonate Robert Plant or be himself and mostly falls between the two stools. It sold a million Stateside, but the partnership didn’t last and we should probably be grateful for that. The band’s debut album was the first to feature Coverdale’s former Purple bandmate Jon Lord. Trouble served as a template for all albums until 1987: good-time rock delivered with varying and mostly loveable degrees of success. Take Me With You, the title-track, the instrumental Belgian Tom’s Hat Trick all do the business and in Lie Down (A Modern Love Song) with its chorus of “Lie down, I think I love you, lie down, I think I care…” Coverdale managed to be both sexist and funny. After 1980’s double Live… In The Heart Of The City European hit ’Snake might have gone global – but 1981’s Come An’ Get It just failed to deliver, despite the single and subsequent live favourite Don’t Break My Heart Again reaching Number 17 in the UK. That, Child Of Babylon, Would I Lie To You and even Wine Women And Song (now there’s a DC mission statement) aren’t bad songs but the others simply slither by rather sink their fangs. Come An’ Get It’s follow-up – on which Mel Galley replaced Micky Moody – is a marked improvement because someone (the safe money is on DC) cracked the whip and ordered a return to the band’s formative bar-room style. Largely driven by Glenn Hughes, Purple were pursuing an atypical soul-funk-rock direction that made this a pale shadow of its predecessor Burn and bathed none of the five members in wholly flattering light. But three songs – the hard rocking title-track and Lady Double Dealer, plus the tour-de-force ballad Soldier Of Fortune (all Blackmore-Coverdale co-writes) – made it into the band’s live sets and have rightly become minor Purple classics. The great lost gem. Earl Slick plays electric and acoustic guitars while Coverdale sings in his true blues voice rather than the forced “metal” one – just as he did on the first half-dozen Whitesnake abums. It’s as if all the excesses of the MTV videos and his desire for superstardom just melted away, so he rolls back the years and has fun again. The epic River Song stands out, but there’s light and shade throughout with barely a weak moment. With a bar-room style reminiscent of Little Feat at their best, a bit of brass, plus ace backing vocals from Liza Strike, Helen Chapelle and Barry St John this is Coverdale as few have ever heard him. Micky Moody plays slide guitar and Roger Glover produces but songs such as Lady, Goldie’s Place and Sunny Days are unlike anything he’d done before. Blindman (reworked on Ready An’ Willing) exhibits shades of Mistreated while Celebration has a Caribbean feel to it. The band’s second full-length studio album became infamous for the Chris Achilleos cover painting depicting a naked woman astride a snake – but it starts with Coverdale in romantic, not sexist, mood on Long Way From Home. His singing is similarly heartfelt on the band’s version of Leon Russell’s Help Me Thro’ The Day. Whitesnake could play bar-room (You ’N’ Me) or fast (Mean Business) but Coverdale’s heart was in rocked-up blues – even as the New Wave Of British Heavy Metal raged. The album is best known, therefore, for the big-hitting title-track and Walking In The Shadow Of The Blues. It’s also home to We Wish You Well – the track traditionally played over the PA after each gig. On their third studio album Whitesnake’s good-time English style rockin’ blues peaked – and hit paydirt with Fool For Your Loving, their first Top 20 hit in the UK. That opener segues nicely into Sweet Talker then Ready An’ Willing itself – all went straight into the setlist and it was clear that Coverdale was on top of his game. Witness his singing on Carry Your Load and the (slightly over-cooked) new version of his solo song Blindman. After that it’s filler-free to the finish with the near six-minute epic Ain’t Gonna Cry No More (co-written with Micky Moody), a slow blues interlude in Love Man, the honky tonk Black And Blue and the testosterone-charged romp She’s A Woman. His second solo effort after Deep Purple folded remains an astonishingly mature album – made by a 26-year-old – that still has the ability to send shivers down the spine three decades after it was recorded. Coverdale’s singing on the slow-burning title-track, the touchingly sparse Time & Again (just his voice and electric piano) or Only My Soul (a poignant lament that builds to a gut-wrenching finale) has rarely been bettered. He rocks, too, through Keep On Giving Me Love (funky a la Tommy Bolin-era Purple, with Lee Brilleaux on harmonica), Queen Of Hearts and Breakdown (a stomping boogie he somehow forgot to re-record with Whitesnake). All in all, the antithesis of 1987 – but a fine demonstration of the breadth of the man’s talents. With the mercurial Tommy Bolin installed as lead guitarist, all bets were off as to what Deep Purple might sound like. The answer was: like never before and much better than on the previous year’s Stormbringer. As on Burn, Coverdale doesn’t sing every lead, but even when he alternates (with Bolin, on Dealer), or shares (with Glenn Hughes, as on Drifter) he’s in great form. On Lady Luck – at the top of his register – he’s in funk rock heaven and clearly having fun. But it’s the two songs that book-end the album – the riotous opener Comin’ Home and brooding closer You Keep On Movin’ (again shared with Hughes) that show him to best effect. A true gem. Often imitated – by Coverdale and other bands – but never bettered. Co-written mostly with guitarist John Sykes, this is Whitesnake at their heaviest but knocked into radio-friendly shape by Mike Stone, the man behind Journey’s Escape. Hardly any keyboards, just Cov and Sykesy running rampant over the rhythm section. Eight million sold, though, thanks to videos of an another new touring line-up for the Zep-like Still Of The Night, Here I Go Again (a Bernie Marsden co-write from five years earlier) and power ballad extraordinaire Is This Love. Coverdale sings brilliantly, too, on Looking For Love, Crying In The Rain (another ’Snake oldie re-recorded) and Don’t Turn Away – proving that he’s at his awesome best doing the moody stuff. The album that catapulted him from nowhere to an international star is still a hard rock and David Coverdale classic. Burn sees his young voice cope easily with full-on blitzkrieg (the title-track) and shift gracefully and powerfully through Purple detours into slow blues (Mistreated), even soul (Might Just Take Your Life) and funk (Sail Away). Although Glenn Hughes sings too, Cov’s voice is undoubtedly the star of the show. An incredible feat considering the pressure on him… He was a nobody joining a band of seasoned pros, knowing Paul Rodgers had been first choice, and that the reputation of one of the world’s biggest bands rested on his performance. He delivered, in spades, and inspired the band to new heights. Essential.